I made a decision early this year to only work on UFOs. I did pretty good, worked on a few, even if I haven't finished any. That lasted until this week. I sorted out my scraps into color coded bins, and after failing to compress all the blues into their bin, I decided its time to scrap bust! 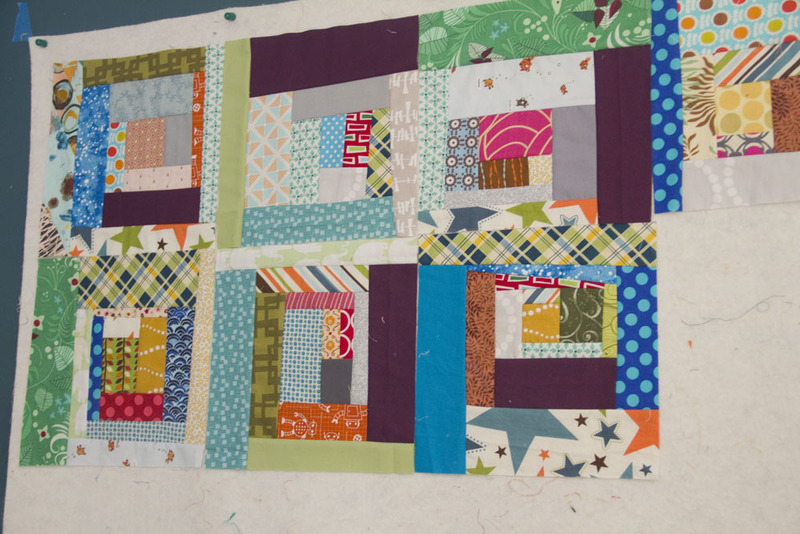 So, super duper scrappy log cabin quilt it is. I grabbed a handful of scraps from each color bin, threw them together in a large bag and blindly draw them out to sew into 9.5 inch wonky-ish log cabins. These go together super quick due to the not having to think about anything. 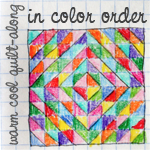 It'll never be a pretty quilt, but it will be interesting! I'm making sure to be truly random, using any piece I pull out, no matter how ugly. 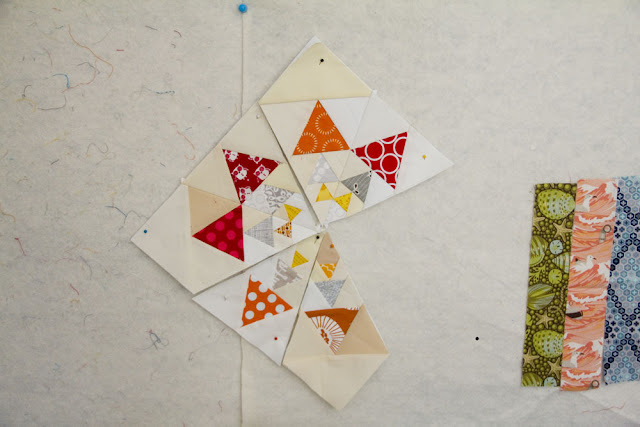 A little progress on a block for the BOM/Sampler quilt...I am finding I dont like paper piecing that much. Its too fussy, finding the right size pieces, lining them up...I love the precision, but just cant stand making these.